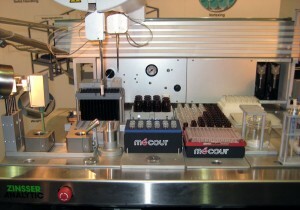 Zinsser Automation offers automated liquid handling systems for drug discovery and material sciences. These systems can be configured with a variety of tools to provide full automation of complex methods. These tools include not only standard liquid handling, but also vortexing, heating and cooling, powder and solids dispensing, weighing, automated capping and decapping, and viscous liquid pipetting among others.